In the dim dark long ago, this little cat owned a VW Bug. Red it was, and gorgeous, and I drove it to college and back each day. Sometimes, my dear mother, Mrs On Mars, would accompany me over to the city where we’d pay bills and otherwise enjoy a day out. It was, however, a lightweight small vehicle and was often buffeted by not-very-strong winds as we crossed the bridge from the northside to the seething metropolis that was my regional hometown in the – well, a while ago. Such adventures we had, eh Pip. 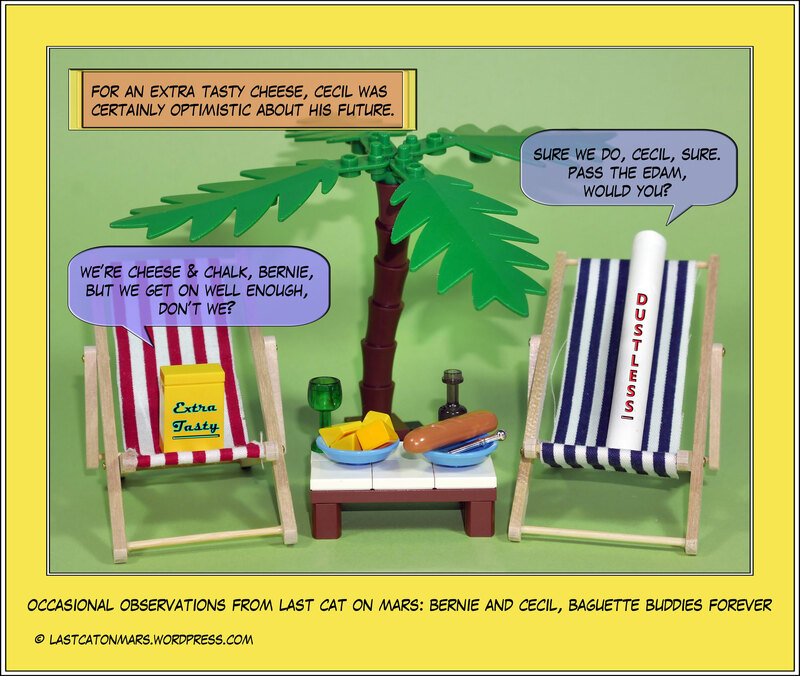 Furthermore, there is nothing nicer than a trip to the beach, a fish and chip lunch, and an ice-cream with your beloved. Enjoy. 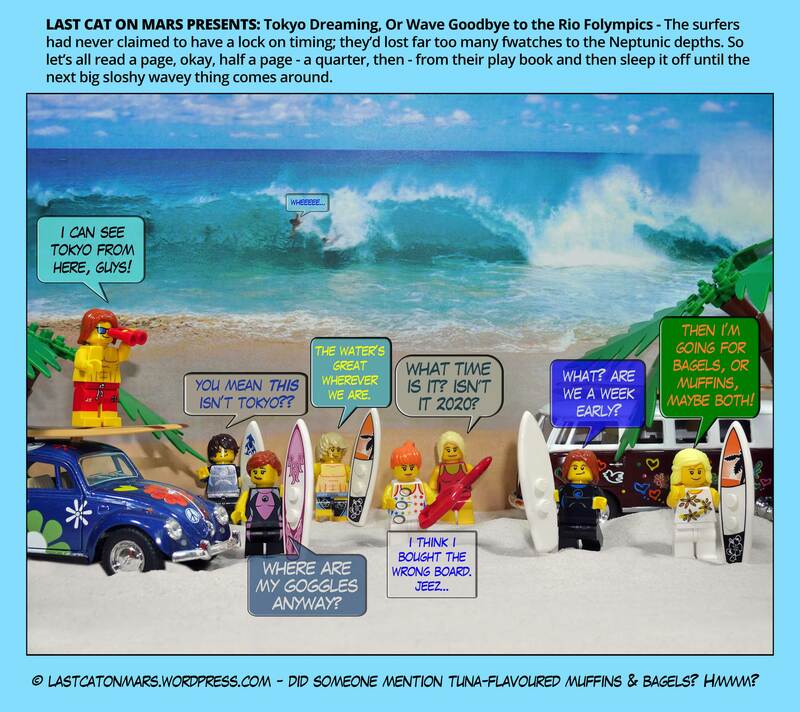 This entry was posted in F-Olympic Games 2016, Special Occasions and tagged beach, cartoon, comic, lego, minifigures, ocean, Olympics, surfboards, surfers, Tokyo 2020, VW Bug, VW Combie on August 21, 2016 by Jay Verney. How envious I was to see the crashing waves and lustrous sands of the brilliant Brazilian beaches. 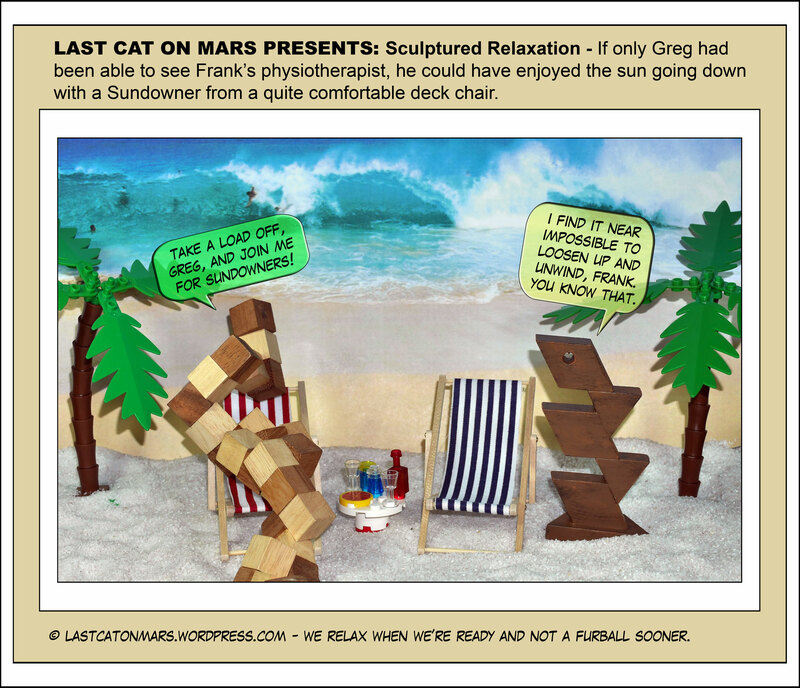 And then I realised that I, too, Dr On Mars, have gritty beaches galore to volley and folly with the balls upon. All one has to do is wait patiently for the tropical Summer to come and melt the glorious ice-caps. Ahhhhh, adjectives, where would we be without them? 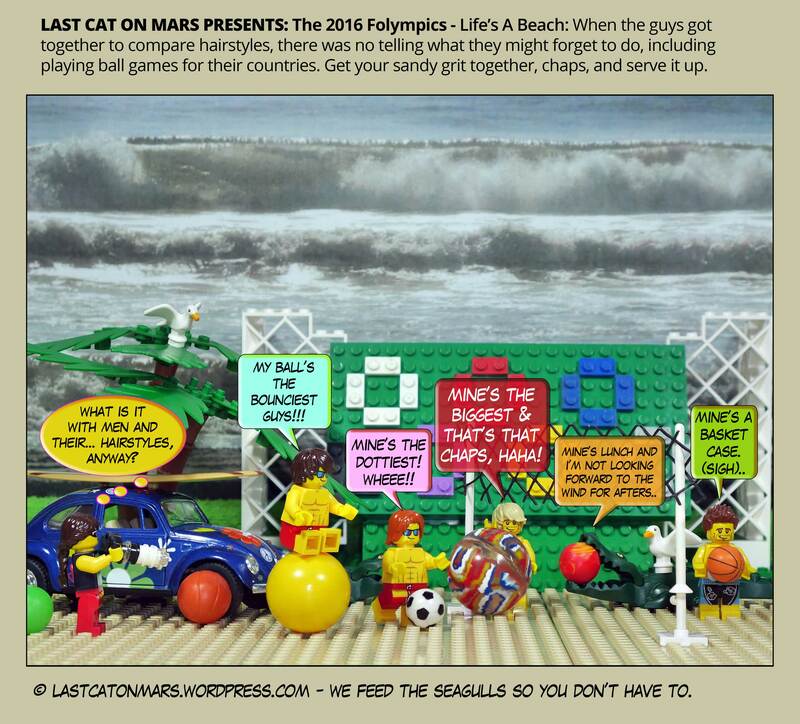 This entry was posted in F-Olympic Games 2016, Special Occasions and tagged beach, beach volleyball, cartoon, comic, crocodile, lego, minifigures, Olympics 2016, Rio on August 11, 2016 by Jay Verney.